I know I am a little late jumping on the bandwagon, and this has been reviewed a million and one times. But after my latest powder finally ran out after what seems like an eternity, I thought I would pick this up when I was last perusing Boots to see what all the fuss is about. 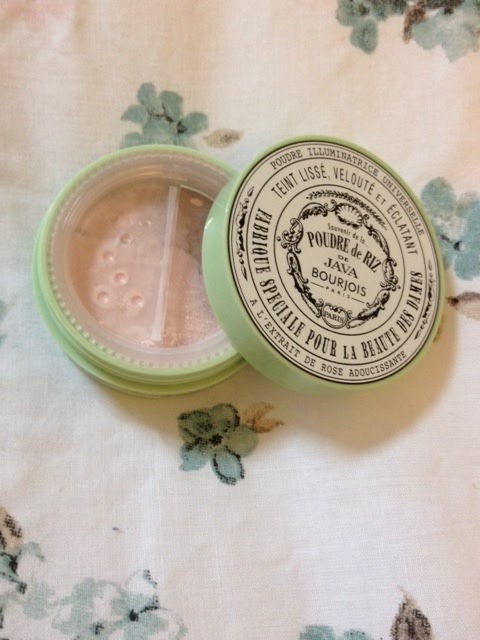 I absolutely love the pastel green vintage packaging.This powder was released to celebrate the 150th Anniversary of Bourjois, as a 'reinterpreted' version of the powder way back when. Not only is it super pretty, but really practical as well. The lid screws on super tight and the compartment has a screw lid on the inside to stop the loose powder from escaping everywhere. I've always found the packaging of powder products to be fairly flimsy and ended up getting powder everywhere, so this was a real added bonus for me. 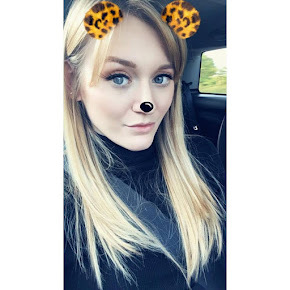 I've never used a loose powder before, but I found that the product was easy to apply and felt completely weightless and beautifully smooth on my skin. 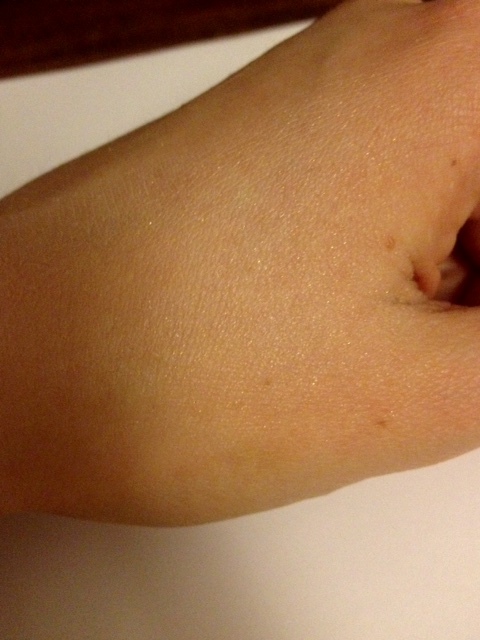 As you can see from my swatch above, the powder is almost translucent, but the sparkly, glittery shimmer you can see proves that the product really lives up to its illuminating claims. This also really helped to set my make up and minimise any slippage throughout the day. The only negative about this product for me was the smell. It is fairly strong and quite old-fashioned and musty, but perhaps this is in homage to its roots from 150 years ago. 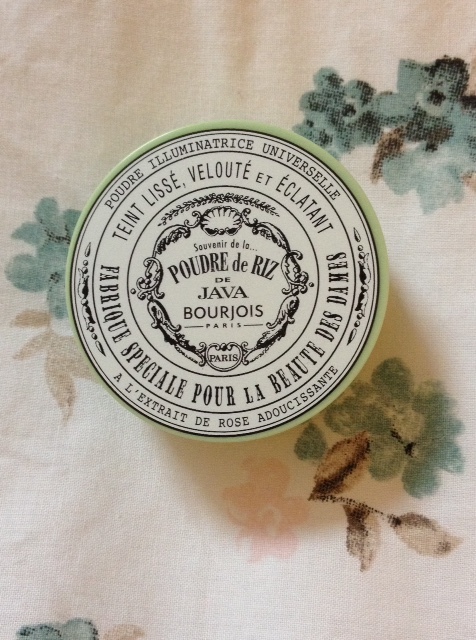 If you have tried the Bourjois Poudre de Riz de Java, what did you think of it? Can you recommend any other powders on the market at the moment?